In July, 2016, Detectives with the Ventura County Combined Agency Team and Special Agents with the Drug Enforcement Administration began investigating a Drug Trafficking Organization operating in the City of Oxnard. Investigators identified Toribio Aros-Osorio as being involved in the trafficking of narcotics into Ventura County from other counties. During the subsequent investigation into Aros-Osorio’s narcotics trafficking, detectives were able to determine large quantities of narcotics were being smuggled into the United States from Mexico, which were ultimately being transported into Ventura County. Investigators were able to identify several individuals who were supplying Aros-Osorio with narcotics. As a result of this investigation, approximately 19 kilograms of cocaine were seized from Socorro Jimenez-Leyva, who was suspected to be supplying Aros-Osorio with cocaine. Approximately 20 kilograms of cocaine were seized from Yesenia Ramirez, who was suspected of being a narcotics courier working on behalf of Juan Valle Lopez. 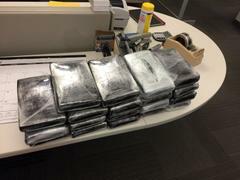 Those 20 kilograms of cocaine were seized in Oxnard and were suspected to be sent to Aros-Osorio by Valle Lopez. Additionally, approximately two kilograms of heroin were seized from two suspects who had just received a package from Jose Ruiz, who was suspected of supplying Aros-Osorio with cocaine. At the conclusion of the investigation, a search warrant was served at an address in the 18000 block of Hart Street in Los Angeles, which was suspected to be used by Jose Ruiz as a “stash house” for narcotics. During the service of the search warrant, approximately 47 pounds of methamphetamine, 1 kilogram of heroin and ¼ kilogram of cocaine were seized. A search warrant was also served at an address in the 1100 block of North G Street in Oxnard, which was suspected to be associated with Aros-Osorio. 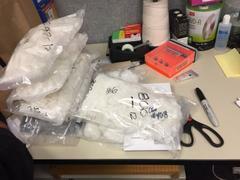 During the service of the search warrant, approximately 10 pounds of methamphetamine were seized. As a result of this investigation, criminal charges have been filed against seven people suspected of being involved in trafficking narcotics into Ventura County. 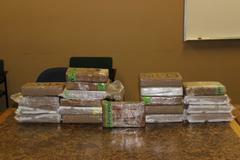 Approximately 39 kilograms of cocaine, 57 pounds of meth and three kilograms of heroin were seized. 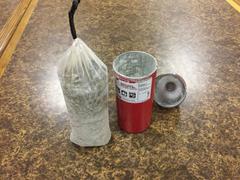 The street value of the seized narcotics is estimated to be approximately $6,787,800. The Ventura County Combined Agency Team is comprised of investigators from the Ventura County Sheriff’s Office, Oxnard Police Department and the Ventura County District Attorney’s Office.